Real Software hopes to make it easier for developers to move to its RealBasic cross-platform development application. On Tuesday, the company released VB Migration Assistant, which helps programs move applications from Visual Basic to RealBasic. Real Software says the migration tool lets developers port code more easily than copying and pasting. With the VB Migration Assistant, users can map Visual Basic controls to specific RealBasic controls and move forms, classes, and modules to a RealBasic Project. The migration tool also copies all of a program’s code and comments it out, so users can convert code one method at a time. 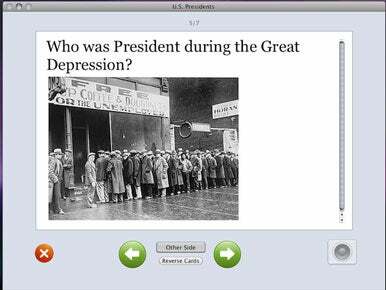 SimpleLeap Software has released Cram, a flash card- and multiple-choice test-based study tool. Tuesday’s release of Cram 1.0 follows three months of beta testing for the software. The 1.0 release features interface refinements from the beta versions. Cram 1.0 also integrates Twitter into the test-preparation application, allowing users to have test scores tweeted after grading. Vemedio on Tuesday updated its Snowtape utility for controlling Internet radio playback on your Mac. Version 1.2 of Snowtape adds an improved search algorithm for album artwork, better handling for deleted items, and the ability to search for stations by country. Snowtape 1.2 also works with an newly released mobile app from Vemedio. SnowRemote, now available in the App Store as a $1 download, lets you wirelessly control Internet radio playback on your Mac if your iPhone or iPod touch is on the same Wi-Fi network as Snowtape. Kodak has announced five new point-and-shoot cameras. The most powerful of the bunch is the 12-megapixel EasyShare Z950, which offers a 10x optical zoom, image stabilization, a 3-inch LCD, and HD video capture. The Z950 will available in August 2009 for $280. 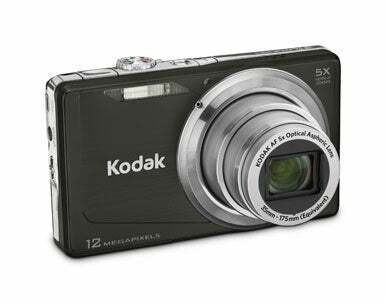 For customers looking for a slimmer model, Kodak announced the 12-megapixel EasyShare M381 ($190), which offers a 5x optical zoom, 3-inch LCD, and face detection; and the EasyShare M341 ($160), which includes a 3x optical zoom and a slightly smaller LCD screen (2.7 inches). Both cameras feature a 12-megapixel sensor and an ISO range up to 1600. The M381 and M341 will be available in September 2009.